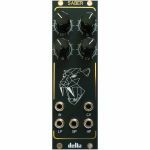 Notes: Saber by Delta Sound Labs is a reimagined variation of the pioneering 1970's era SEM filter by Tom Oberheim. This is a truly classic audio filter reworked as a compact and 100% skiff-friendly 8HP module. The original SEM (Synthesizer Expander Module) was one of the world's first all-in-one synthesizers and it's unique 12dB/Octave multi-mode filter, imparted unique character to anything it touched. 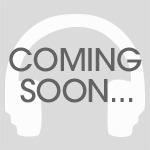 Saber by Delta Sound Labs remains true to this design but features modern touches such as buffered low-pass, high-pass and band-pass outputs, each of which can be used at the same time. All in all, this makes for a really flexible, great sounding addition to any Eurorack system.